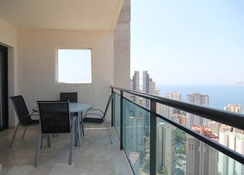 Don Jorge Apartments is a marvelous hotel in Benidorm, offering uncompromising luxury to its guests. The temperature in this region is balmy throughout the year, which makes it a perfect place to visit anytime during the year. There is an outdoor swimming pool in the hotel, where you can take a relaxing dip and lounge under the parasols dotted around the pool. There’s also an indoor heated pool operational during the cooler months. The hotel also features a state of the art fitness center with expert trainers – enabling guests to maintain their fitness level even during their vacations. The hotel also comprises of a children’s area, where numerous fun activities are organised. 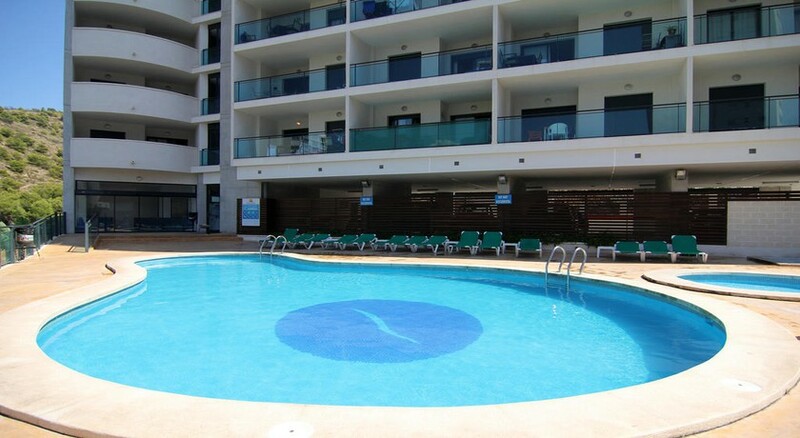 Don Jorge Apartments are situated in Calle de Viena, Benidorm, only a few minutes from the main beach. The hotel is located on the quaint part of town, away from the hustle bustle of everyday life. The Mundomar Marine Animal Park is only 1.5km from the hotel. Adjacent to the animal park is Aqualandia – a fantastic waterpark. If the waterpark and animal park don’t amuse you, then the Terra Mitica themepark in Benidorm will surely enable you to have some great family fun! 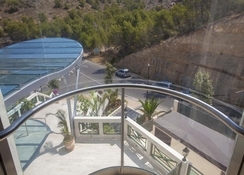 The Alicante Airport is about 61.3km from the hotel. 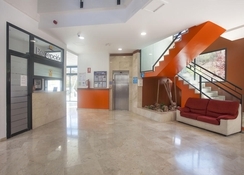 The 166 service apartments offered at the Don Jorge Apartments come in three categories – one bedroom apartments, two bedroom apartments and the penthouse. 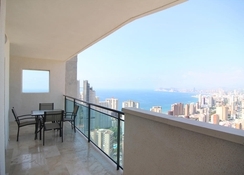 From the penthouse guests can enjoy spectacular views of the sun, sand, sea and the city. All the 166 apartments come with the necessary amenities and facilities including a flat-screen TV, double bed, sofa-set, chairs, telephone, heating, air conditioner, electric kitchen, microwave oven, fridge, safe (Hotel Palm Beach), washing machine, griddle, laundry service (Hotel Palm Beach) and cradle. Being an apartment only complex, the Don Jorge Apartments don’t have an on-site restaurant. Guests can prepare their own meals in the kitchenettes that come with the apartments. However, the hotel is surrounded by numerous bars and restaurants. Some of the restaurants around the hotel include Merita's, Stars Lounge Bar, China Garden, etc. Or take advantage of the In-room food and beverage service to make yourself comfortable. Don Jorge Apartments house a large outdoor swimming pool surrounded by sun loungers. There is an indoor swimming pool as well, where guests can take a relaxing swim. There’s also a state of the art gym and a sauna. Children can also enjoy fun-filled activities in the children’s area. During summer the hotel opens Coco Club, where numerous activities and handicraft workshops are organised.